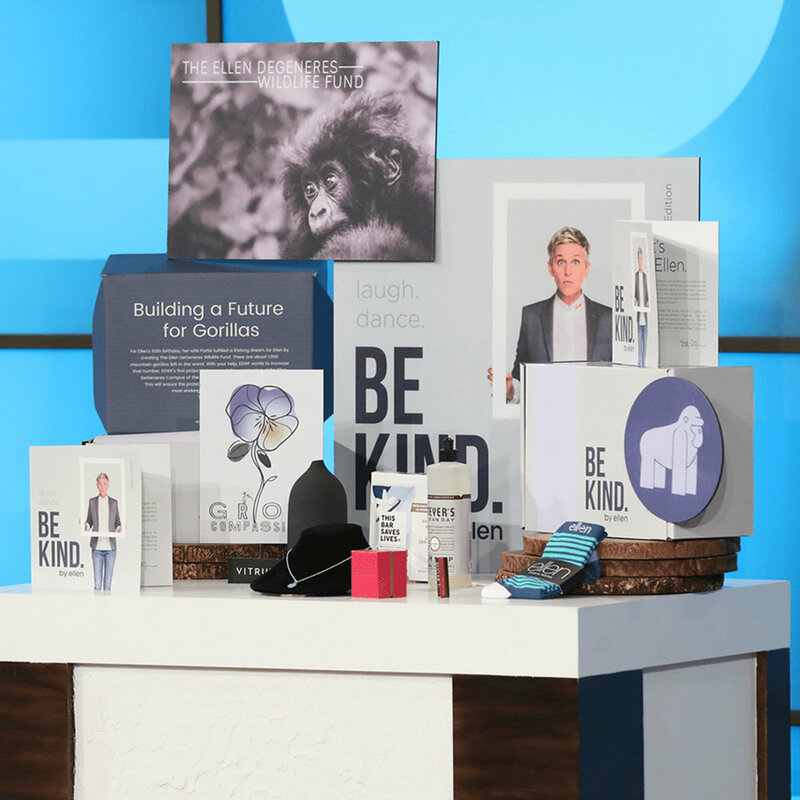 See how Ellen DeGeneres is using subscription boxes to more deeply engage with her fans, advocate for social good, and generate revenue potential that just keeps on growing. How the BE KIND. by ellen box sold out within 24 hours. 5,000 BE KIND boxes were sold with 20,000+ fans joining the waiting list. Giving back matters to 95% of customers when purchasing the BE KIND by ellen box. Over 3.7M instagram views, 140,000+ likes, and nearly 2,000 comments. Over 22,000 acts of kindness for kids, the earth, and of course, the gorillas. And we partnered with the best in the business. Her fans love her for her big heart, her humor and her playfulness. That’s like trying to capture lightening in a bottle, right? But we found a way to capture it in a box. 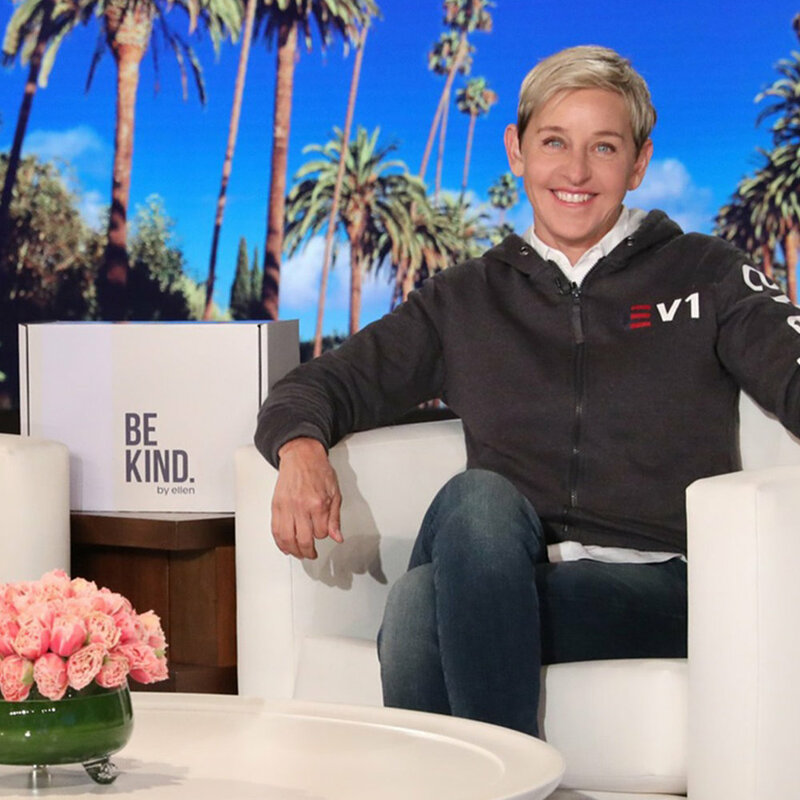 Ellen as a person and brand has always been about kindness and giving back. The BE KIND. by ellen box is the first subscription box to combine a celebrity brand, anchored in kindness and positivity, with products and causes which reflect that philosophy. The business objectives were clear; however, the box theme and product curation strategy were not. Our first task was identifying viable box themes and calibrating prospect interest profiles. 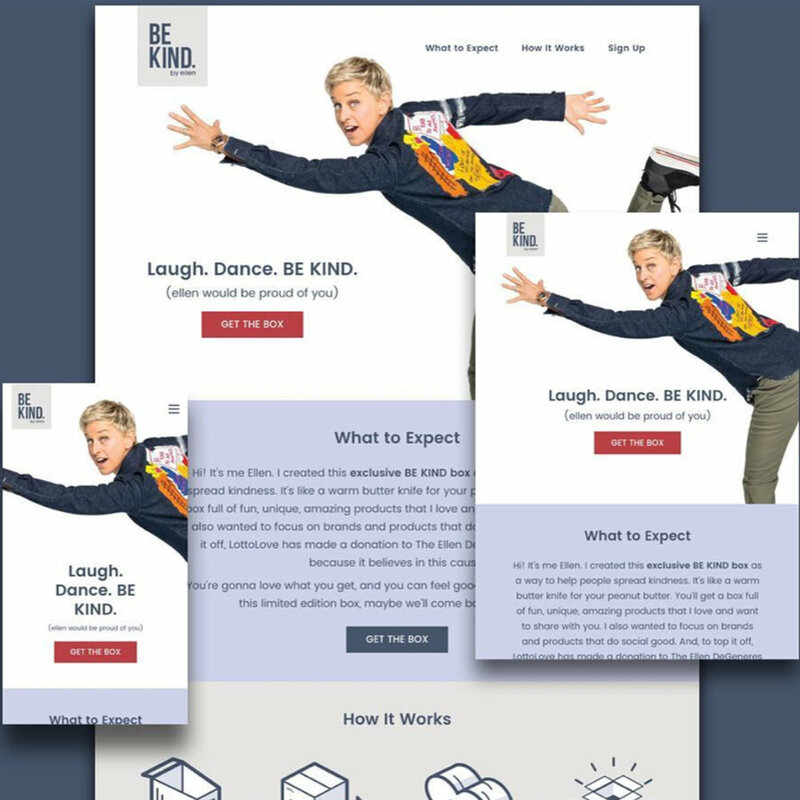 We listened to over 800 people through the survey research and conducted multiple design options, which collectively led the team to creating a new product and brand extension that felt truly “Ellen.” The result – BE KIND. by ellen. We are three time zones away from Ellen’s team, so weekly calls and check-ins were key to making the project a success. From there we employed a rigorous attention to detail, using a cloud-based project management tool to provide on-demand updates. In-person sessions added to the discussion intensity whenever needed. Clear and consistent communication helped us build and maintain trust throughout the project. Brand honesty guided the creative tone. Every aspect of the box experience was accounted for. From the “microcopy" we wrote for interactive web buttons ("Let’s be friends” instead of the lifeless “Submit”) and the modern booklet layout — to the box packaging and the charming gorilla sticker used to secure the interior wrapping paper. Clear, personal and socially conscious drove every design execution, even the error messages felt like Ellen was speaking to you. Delivering a box worthy of Ellen. With no experience managing the operations, the Ellen Team was glad to leave this to our team. Fulfillment, inventory management and shipping of each BE KIND box with a total of 17 individual elements, were packaged with TLC from start to finish resulting in an unboxing experience celebrated by customers. Our customer care team personally answered over 500 customer tickets to ensure a high touch experience. A bonus: we worked with STEP Services, which helps people with disabilities find employment. #evenmoregood. We knew the box would sell out (just not so quickly!). We pre-programmed the landing page to switch automatically, based on stock. As soon as the number of boxes hit zero, the website changed messaging to reflect the stock status and inviting visitors to sign up to keep in touch. The purchase form also switched to instead capture names and email addresses. This allowed us to notify fans of upcoming availability or future boxes. Naturally, people started talking. A lot. 3.7M social views. We care about the customer experience, so our social listening was in full-on mode. We watched the experiences ripple out into the real world as people shared their box joy with friends, family and yep, the 4-legged furry ones too.